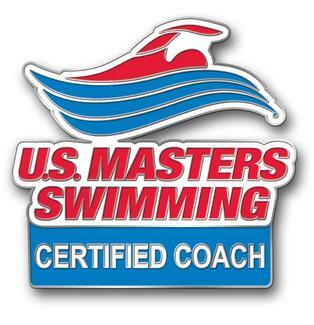 This entry was posted on May 4, 2015, in USMS and tagged Bill Brenner, KGR Coaching, Kirsten Read, UMAMA swimming, USMS Masters Coaching Certification. Bookmark the permalink. I’ve been remiss in posting the last few weeks, but not absent from the water, whether in or out of it. In fact, if anything, the last few weeks have meant even more emphasis on the swimming in my life, both personal and professional. 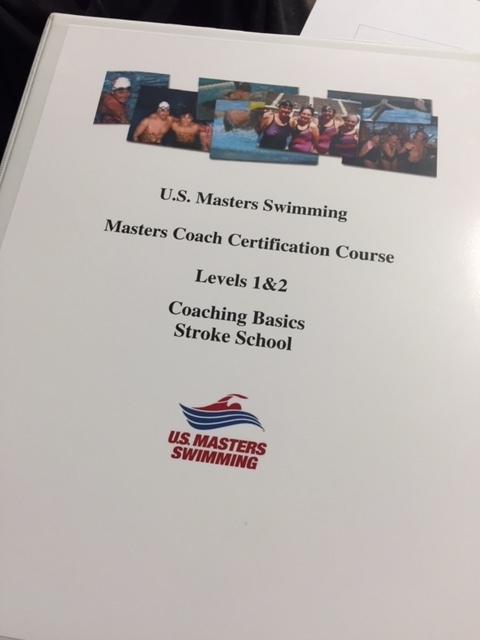 In the professional arena, I spent a wonderful day meeting and talking with other swim professionals, all of us attending the USMS Masters Coaching Certification course held in Hartford, Connecticut on the 18th of April. 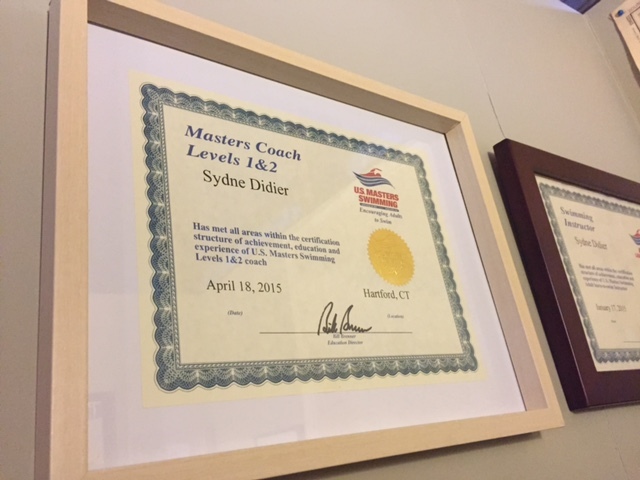 But the Masters Coaching Certification Course, Levels 1 & 2, offered a fantastic opportunity to keep learning, both from the course itself and from the terrific collection of athletes who attended. One such athlete was a swimming Facebook friend who I’d yet to meet in person. 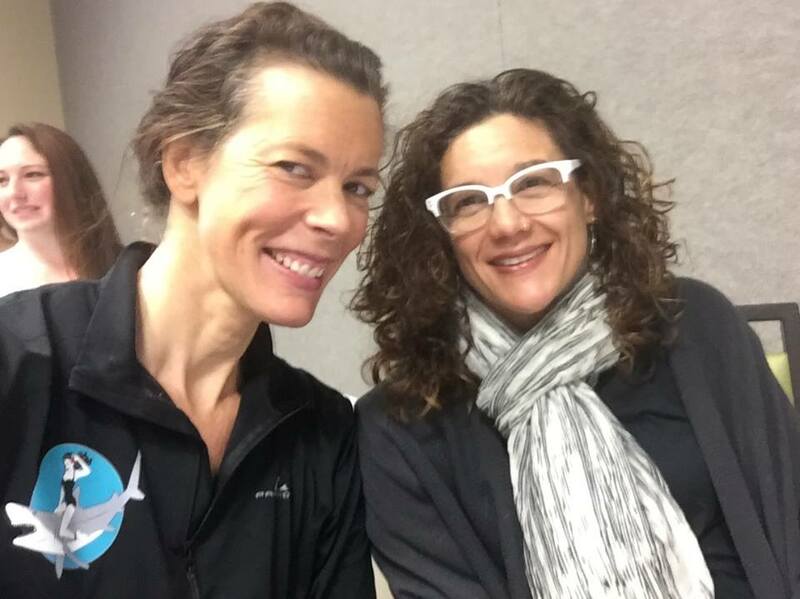 The lovely Kirsten Read, of KGR Coaching in Maine, was my companion for the day and it was great to have someone to giggle with as we spent the first beautiful day of Spring in a conference room in Hartford. The course was packed, both with students and information, and the program was led by USMS Education Director Bill Brenner, whose enthusiasm was infectious. This is a man who truly loves his sport. 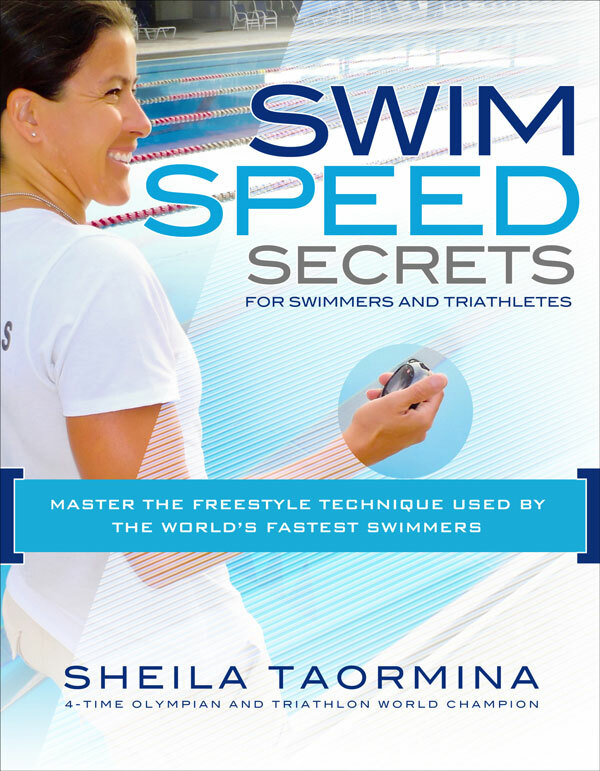 With subject matter from how to build and promote your team, to specific workout design and stroke instruction, I spent a lot of time thinking about how all of it could benefit you, the swimmers of Swimcrest. 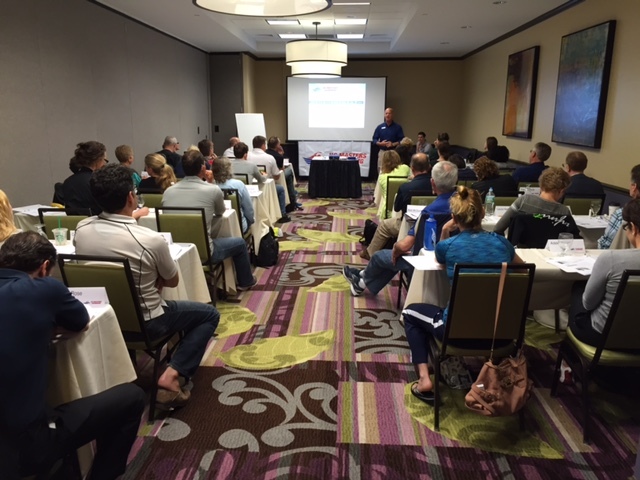 For me, one of the most fruitful areas of discussion was brainstorming about working with a great variety of swimmers, from multisport athletes to highly competitive Masters swimmers, the needs of which might be completely different. 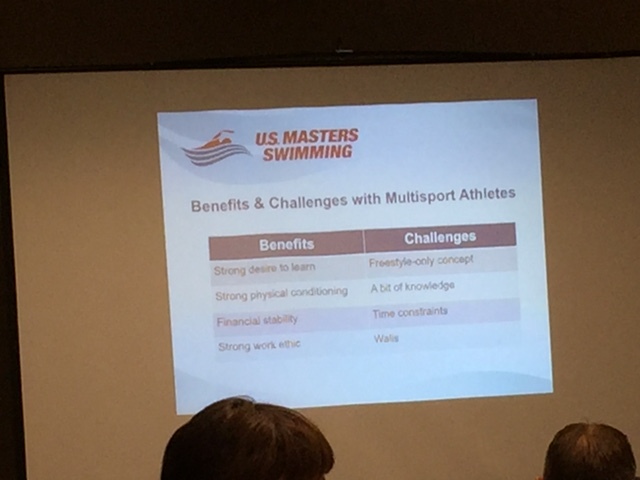 Because I deal with this on a daily basis, I appreciated the opportunity to talk through strategies for best assisting ALL swimmers, regardless of their swim ability or needs. It’s never too late to improve your teaching, and I am grateful for the opportunity to continue thinking about my practice. It impacts both my coaching and my swimming in ways that are truly positive, and I look forward to continuing to develop both for and with you.